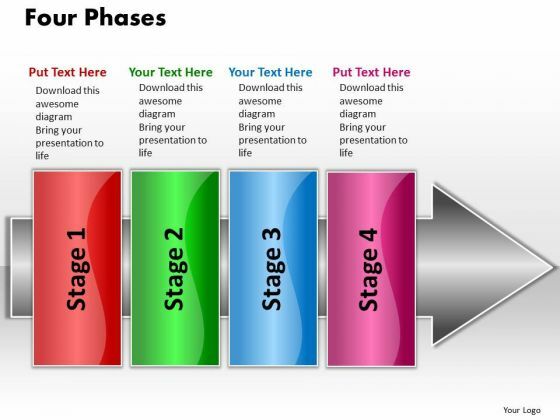 PPT linear flow 4 phases2 PowerPoint Templates-Visually supports your ideas and defines your message with our above diagram. This image identifies the concept of stages in process. This attractive image makes your presentations professional and interactive. Deliver amazing presentations to mesmerize your audience.-PPT linear flow 4 phases2 PowerPoint Templates-Abstract, Arrow, Blank, Business, Chart, Circular, Circulation, Concepts, Conceptual, Design, Diagram, Executive, Icon, Idea, Illustration, Management, Model, Numbers, Organization, Procedure, Process, Progression, 4 phases, Resource, Sequence, Sequential, Stages, Steps, Strategy Beat the crowd with our Ppt Linear Flow 4 Phases2 PowerPoint Templates. You will come out on top. Manage expectations with our Ppt Linear Flow 4 Phases2 PowerPoint Templates. You will be at the top of your game.